Windows can come in many different shapes and sizes, and if the architecture of your home in Louisville, Kentucky, or southern Indiana requires special window shapes, you can rely on Windows Plus to provide a solution. We are experts at installing custom replacement windows that are tailored to the distinctive needs of our valued customers’ homes. At Windows Plus, you’ll find some of the highest-quality windows from the nation’s leading manufacturers, including Infinity from Marvin and Pella. In addition to the unique shape of your specialty windows, you’ll be able to choose from wood-clad, composite, vinyl, and fiberglass frames, as well as a range of colors, textures, and hardware options to suit your taste and meet your needs. If you’d like your custom replacement windows to do more than just look good, you should consider our own Energy Wall collection. These windows are built with double panes of insulated glass and other insulating features to minimize heat transfer, lessen the workload of your HVAC system, and bring down your monthly energy bills. Windows Plus is a locally owned and operated home improvement company that prides itself on the specialty window solutions that we offer to homeowners throughout the Louisville, KY, metropolitan area. In addition to providing some of the finest windows on the market in the shapes that your home needs, our installations are second to none. Our technicians are factory trained and will provide an impeccable custom window installation service for your home, displaying top-tier craftsmanship every step of the way. 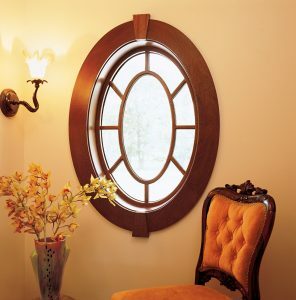 To speak with a representative about the uniquely shaped windows in your home, contact Windows Plus today. We install custom replacement windows for homeowners in Louisville and elsewhere in Kentuckiana, all of which are backed by a lifetime warranty for your peace of mind.